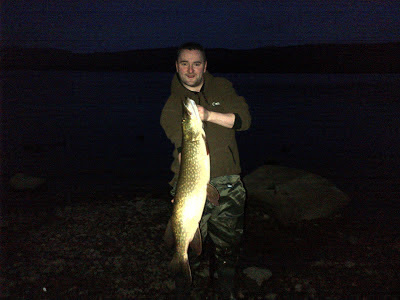 Alex McIntosh with a nice Pike caught from a loch in the north west of Scotland on a surface lure fished slowly at last light! FISH OF THE MONTH RIGH THERE - WELL DONE MATE! !